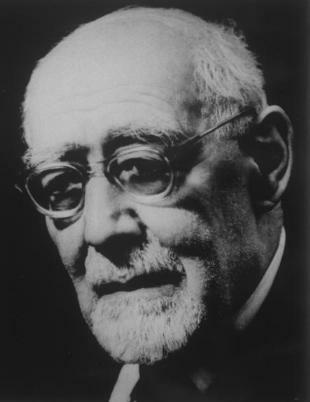 The Leo Baeck Institute London, founded in 1955, was named after the last public representative of the Jewish community in Nazi Germany. Its members conduct and support research into the history and culture of German-speaking Jewry from the 17th century to the present day. The Institute aims to facilitate academic exchange among all of those engaged in understanding the history and culture of German-speaking Jews in Europe and throughout its diaspora. The LBI London also encourages the study of the German and European Jewish experience from the 17th to the 21st centuries to help understand contemporary socio-political debates concerning immigration, minorities, integration, and civil rights. Teaching and research capacities expanded significantly with the move in 2011 from its historic home in central London to Queen Mary, University of London. Since then the LBI London has established German- and European-Jewish History and Culture as a teaching and research field at the School of History at Queen Mary. The LBI London remains an independent institute and is a registered charity under English law. Our flagship publication, The Leo Baeck Institute Year Book (founded in 1956) is the leading international publication in the field of the history and culture of German-speaking Jews, and is now published by Oxford University Press. The Leo Baeck Institute Year Book Essay Prize is awarded annually to an early-career researcher writing on the history or culture of German-speaking Jewry. In addition to its Year Book, the LBI London publishes monographs and edited volumes in German and English. Its two series, Schriftenreihe wissenschaftlicher Abhandlungen des Leo Baeck Instituts (Mohr Siebeck), in German, and German Jewish Cultures (Indiana University Press), in English, cover the period from the Enlightenment to the contemporary era with a special focus on European Jewish history. The Institute organises a range of events, which are advertised on our website. All our scholarly events, such as lecture series and conferences, are free and also aimed at a broad audience. The international Leo Baeck Fellowship Programme (in collaboration with the Studienstiftung des Deutschen Volkes) was created in 2005 to support doctoral candidates in the field of German-Jewish history and culture. Up to 10 fellowships are awarded each year, and the programme includes bi-annual seminars during which Fellows discuss their research with senior academics in the field. Dr Daniel Wildmann, the Director of the Institute, teaches undergraduate modules in Jewish history at QMUL and accepts candidates for the PhD degree in German-Jewish history and culture. The LBI London also offers PhD bursaries to support students on this course at QMUL. With its sister institutes in New York and Jerusalem, the Leo Baeck Institute London is part of the leading research organisation in its field. The branch of the archive of the Leo Baeck Institute New York at the Jewish Museum Berlin and The Wissenschaftliche Arbeitsgemeinschaft des LBI also located in Berlin, Germany – complete the international resources of the LBI. The Verein der Freunde und Förderer in Frankfurt/Main is the official representative of all branches of the international LBI in Germany. Christhard Hoffmann (ed. ): Preserving the Legacy of German Jewry. A History of the Leo Baeck Institute, 1955-2005, Schriftenreihe wissenschaftlicher Abhandlungen, Mohr Siebeck: Tübingen, 2005. Ruth Nattermann: Deutsch-jüdische Geschichtsschreibung nach der Shoah. Die Gründungs- und Frühgeschichte des Leo Baeck Institute, Klartext, Essen, 2004.